David Krane to adapt music for KUNG FU PANDA SPECTACULAR! The announcement is just released! I'm thrilled to be adapting Hans Zimmer's amazing score for the Kung Fu Panda Spectacular at the Venetian Macao, directed and choreographed by the great Susan Stroman. Rehearsals begin this summer and It opens January, 2020. David Krane in Vogue magazine shoot by Annie Leibovitz with Emily Blunt & Lin-Manuel Miranda! Mary Poppins Returns Opens Wide Today! Miranda leads the movie's splashy centerpiece number, a direct counterpart to Bert's rooftop "Step in Time" called "Trip a Little Light Fantastic," performed with a large chorus of Jack's fellow lamplighters on bicycles, wielding the ladders they use on the job. Marshall, who also choreographed the film with DeLuca, nods back not just to vintage Disney here, but also to the MGM movie musical in the number's exuberant build of layer upon intricate layer of dance moves. The Arranger: The David Krane Touch On "Mary Poppins Returns"
The MARY POPPINS RETURNS trailer is out today! Mary Poppins Returns, for which I wrote dance and additional musical arrangements will open on 17 December, and today, the trailer is out! MARY POPPINS RETURNS First Peek Trailer on the Oscars! Here's the link to the first peek at MARY POPPINS RETURNS for which I wrote all the dance arrangements plus additional musical arrangements. Opens on Christmas Day! 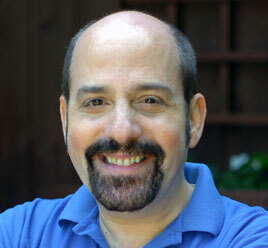 Saturday brings three sessions of musical theater seminars at 10 a.m., 11 a.m. and noon. ; each one-hour block offers a choice of three different talks that range from Festival Alumni Success Stories to The State of the NEA to a talk with composer and arranger David Krane. 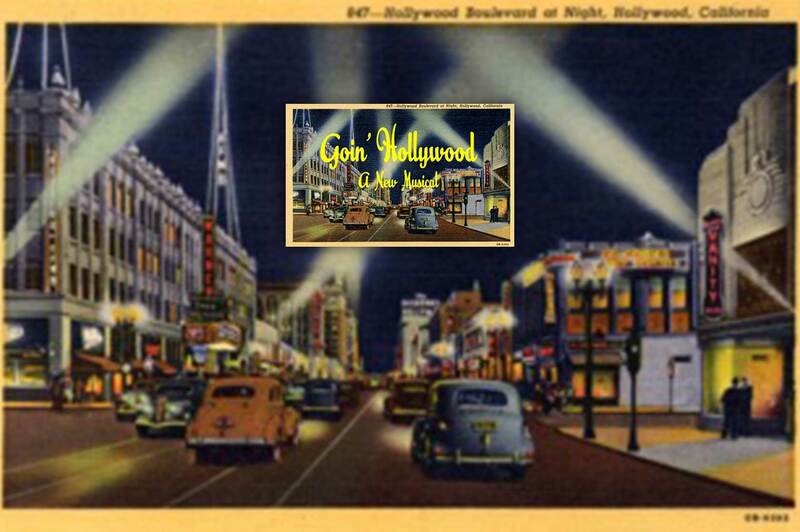 GOIN HOLLYWOOD is about a couple of contemporary Comden and Green-like writers who get their wish while eating lunch at Grand Central Stations trendy restaurant, The Super Chief Dining Car...they get whisked cross country and back to 1949 Hollywood where they are hired by MGM . There, in their fantasy world, they encounter, anti-semitism, the blacklist, sexism and all the wonderful things that made Hollywood dear to us. Link to the performance of the powerful monodrama by Kenneth Fuchs, FALLING MAN, based on Don De Lillo's novel about the aftermath of the 9/11 Attack, was performed at the 9/11 Museum and Memorial on 7 October 2016 after a premiere in April by the Center of Contemporary Opera at Symphony Space. Sung by the brilliant baritone, Jarrett Ott and conducted by Kevin Stites. A Rave For Goodspeed's BYE BYE BIRDIE In The New York Times! Ponytails, corded telephones and going steady are back in style in East Haddam, where a glorious production of BYE BYE BIRDIE is putting happy faces on Goodspeed Opera House audiences. David Krane has added superb new dance arrangements. BYE BYE BIRDIE at GOODSPEED is a HIT! The inspired choreography of Patricia Wilcox with dance arrangements by David Krane made the production numbers come alive. A LOT OF LIVIN TO DO was especially exciting. It's not every day you receive a fan note from a legendary Broadway lyricist, one that is being honored this year with a Special Tony Award for Lifetime Achievement in the Theatre. Then again, David Krane isn't your everyday composer/arranger. The show is 'She Loves Me', but the following is a 'He Loves Me' moment. Delighted and honored to have had my arrangements for Joyce DiDonato's concert with Sir Antonio Pappano at London's Wigmore Hall recognized by the GRAMMYs! David Krane states, " I felt honored when Ken Fuchs asked me to adapt his masterful symphonic monodrama for solo Baritone, "Falling Man", for an eight piece chamber ensemble and to conduct the premiere... It is a privilege to introduce this very moving work in a live performance in New York City, which still resonates with the memory of that tragic event." I have adapted and conceived Kenneth Fuch's powerful monodrama for the stage, and will conduct the premiere of FALLING MAN. GRAMMY WIN for "Joyce And Tony At Wigmore Hall"! Thrilled that Joyce DiDonato and Sir Antonio Pappano won a Grammy for their live concert at Wigmore Hall which included two works of mine: "Beautiful Dreamer" and as an extra on iTunes: Track #23 - Jewels For The Sunday School - "How Can I Keep From Singing"! Interview in Spanish about the musical films that I have scored, including Chicago, Nine and Into The Woods on pages 37 & 38. Two of my arrangements are performed on this superb concert by renowned opera star, Joyce DiDonato and Antonio Pappano, who is the conductor of Covent Garden Opera in London. One is "Beautiful Dreamer", and the other, "How Can I Keep From Singing" is a bonus track on iTunes. I am intereviewed around 7:29 on this wonderful peek at the concert! ON THE 20th CENTURY RECORDING RELEASED TODAY! But there was also new, and glorious, dance and incidental music that I loved, that gave the new production much of its sweep and fluidity and flow, and some underscored passages that were brilliant â and when I mapped out my desired recording edition, we were at two discs. I will say, the cast and orchestra were delighted we were recording so much; it was a particularly joyous day in the studio." Rave Review For On The 20th Century! I wrote new dance and incidental music for this sparkling revival starring the brilliant Kristin Chenoweth! Ben Brantley loved it! Working alongside them is David Krane, one of Broadway's veteran dance arrangers whose long list of credits include working with Marshall on Kiss of the Spider Woman and the Roundabout Cabaret â not to mention the 1977 Broadway revival of Kurt Weill's Happy End, starring newcomer Meryl Streep. The soundtrack album is loaded with numerous swaths of incidental music, all glorious and sounding like pure Sondheim. The composer, of course, deserves full credit for his score and everything about it; but he is excellently served by Krane as well as longtime associates Tunick and Gemignani. If non-theatregoers of the world are to know Sondheim only from the movies, this is the way to go. The Trip INTO THE WOODS is Spooky, Thoughtful, Delightful! Into the Woods, the deliciously arch, deceptively deep, fractured fairy tale with its soaring Sondheim showstoppers, has made it to the big screen virtually untouched by Hollywood's big, tall, terrible giants, whose meddling can so often make a mess of things. David Krane is respectful in adapting the score. Composing for Broadway, Film & TV. A protege of Leonard Bernstein, Krane has written, arranged and orchestrated music for dozens of Broadway and TV musicals, from CABARET to CHICAGO. Here, he will share his many stories working with legends such as Meryl Streep, Hugh Jackman, Michelle Williams and more. You have probably heard David Krane's work, even if you've actually never heard his name. A protege of Leonard Bernstein, Krane has worked on nearly 30 Broadway musicals and numerous films, including "Chicago," "Annie" and the upcoming film version of Stephen Sondheim's "Into the Woods." A protege of Leonard Bernstein, composer David Krane has written, arranged and/or orchestrated music for dozens of Broadway & TV musicals including the currently running revival of CABARET as well as the Oscar winning film version of CHICAGO, and the upcoming film version of INTO THE WOODS premiering Christmas Day. What does it take to create a musical? How is it done differently for Broadway, TV or film? In an interview format with New Music Professor Steve Miles, Krane will share his many stories working with legends such as Liza Minnelli, Carol Burnett, Meryl Streep, Hugh Jackman, Michelle Williams, Michael Douglas, and more. Li Wei: Weightless 9:36 .USA . 2013 . N. America premiere Director: George Sinfield Synopsis: Beijing performance artist and photographer Li Wei plans and executes a signature piece, breaking the limitations of gravity and the rules that define modern society. INTO THE WOODS Rob Marshall Denies Re-Shoot Rumors; Explains Cut Sondheim Song & More Film Details! I'm very proud that this was part of my job for the music score adaptation for the film: "One change that he does acknowledge deals with the song 'Ever After,' which serves to separate the two acts of the stage musical. 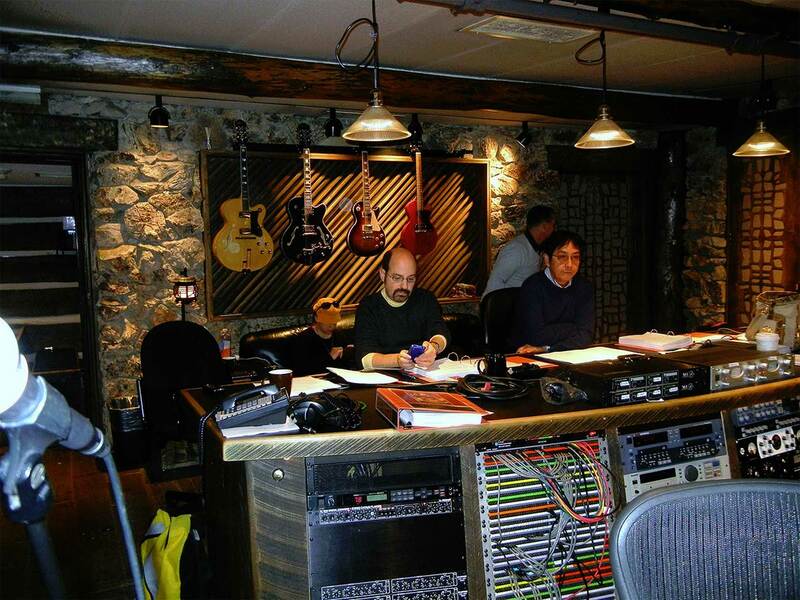 For the film, the tune will only be heard in a new instrumental version." The INTO THE WOODS film trailer! Here's a taste of what the INTO THE WOODS film will be like. I've adapted the musical score. The graduating students of Toronto's Randolph Academy for the Performing Arts, Canada's premiere Triple Threat post- secondary training program, appearing in the academy's production of Stephen Sondheim's "Into the Woods" received quite a surprise Friday night . Among backstage visitors congratulating them was David Krane, the music arranger of Disney's forthcoming musical adaptation starring Meryl Streep and Johnny Depp. 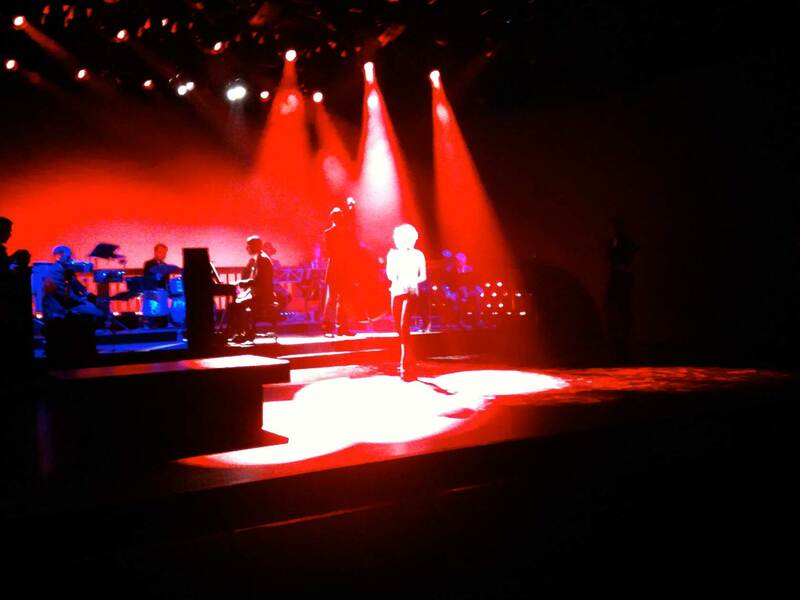 INVENTING MARY MARTIN Has NYC Flying To Enraptured Audiences! Music Supervised and Arranged by David Krane who has arranged, created music for for films Chicago, Nine, and Into the Woods.. he gives audiences orchestrations that will make your spine tingle. "Krane's notes are effective, embracing a wonderful new musical that is hitting high notes off Broadway this season. Inventing Mary Martin is a delight, you'll come out of the York Theatre singing! I've Gotta Crow! Get your tickets now, because the house is packed with Martin fans of young and old." Theatre Chat. Previews begin on March 21st for the '98 award winning revival for which I've written Dance and Incidental Music. Direction by the brilliant Sam Mendes, Co-Directed & Choreographed by the remarkable Rob Marshall who's now editing the film of INTO THE WOODS for which I've adapted the score. Previews April 15th, opens April 27th, in honor of the first lady of musical theatre, Mary Martin's centennary, Stephen Cole has created and co-directs with Bob Richard, with Music Supervision and Arrangements by me. Exciting concept, exceptional cast! We catch up with composer David Krane and writer Stephen Cole, who brought the first musical ever to the stage in the Middle East, and now hit Edinburgh. THE ROAD TO QATAR Nominated for 2013 Musical Theatre Awards! The European Premiere of Stephen Cole and David Krane's autobiographical musical The Road to Qatar has been shortlisted for a coveted Musical Theatre Network 2013 Award. Producer Katy Lipson for Aria Entertainment said "The company have worked extremely hard in bringing Stephen Cole and David Krane's hilarious musical to life, I am delighted that we had the chance to produce the European premiere and excited that their hard work has been acknowledged in such a fantastic way." I canât wait to hopefully see it someday in all of its cheesy, joyfully offensive Broadway glory. Meanwhile, thereâs this lovely little sibling of a show here at the Fringe. Go see it. "Two gay New York Jewish writers are commissioned to do the impossible: write a gargantuan Broadway musical for the Emir of Qatar featuring 100 British actors, 30 Qatari camels, 20 Arabian stallions, 17 fire-eating Croatian acrobats, 30 Russian ballet dancers, five falcons and Muhammad Ali. What can possibly happen? 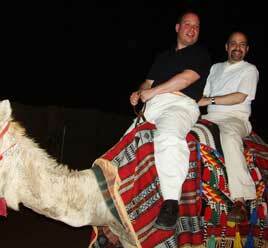 Musical Comedy breaks out in the Middle East! Unbelievable side-splitting surprises abound as the New York Jews travel from NYC to Dubai, London, Bratislava as they sing and dance their hilarious way on The Road to Qatar! Aloha Doha - you couldn't make it up!" The Road to Qatar is coming to Edinburgh this summer! It was just announced that The Road To Qatar is having its international premiere at the prestigious Edinburgh Fringe Festival - August 1 - 26! Michael Douglas and Matt Damon co-star in Behind the Candelabra... The Nielsen Company said it was the HBO network's biggest audience for one of its original movies since medical drama Something the Lord Made in 2004. Golden Globe Winner and Oscar nominated Michelle Williams to sing as Marilyn Monroe in the acclaimed new film, MY WEEK WITH MARILYN. Music arranged and produced by David Krane. ROAD TO QATAR Soundtrack Released! 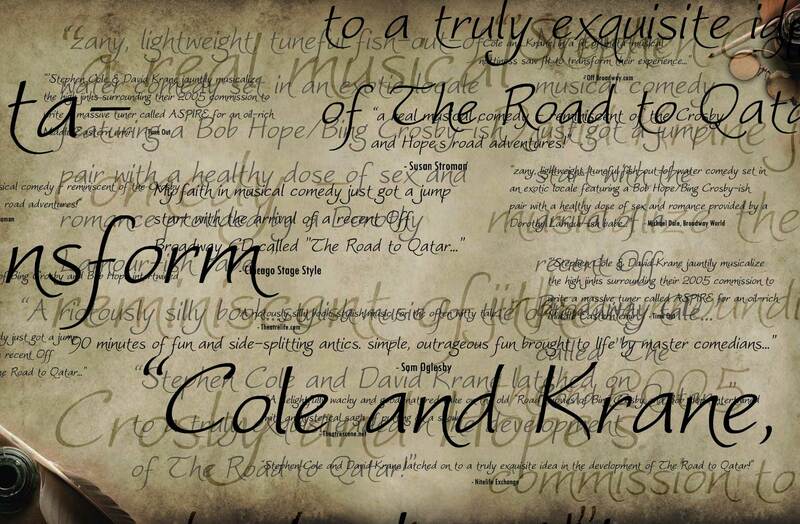 The original cast recording for The Road to Qatar - composed by David Krane and Stephen Cole - is now available on Jay Records! DAVID KRANE arranged & produced two songs for Golden Globe Winner and Oscar nominated Michelle Williams to sing as Marilyn Monroe in the acclaimed film, MY WEEK WITH MARILYN, has created the dance music & additional score adaptation for the Oscar-winning film, CHICAGO (dir. Rob Marshall), has written all new music arrangements with additional score adaptation for the film version of NINE, (dir. Rob Marshall), was Michael Douglas' NY piano coach for BEHIND THE CANDELABRA, and has coached Meryl Streep for the film version of INTO THE WOODS, for which he has also adapted the musical score. 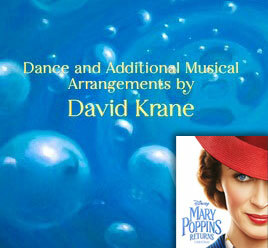 He has written dance and additional arrangements for MARY POPPINS RETURNS. He composed ASPIRE with Stephen Cole, the first ever commissioned American musical produced in the Middle East, which premiered in Doha, Qatar in 2005, scored for 70 piece orchestra, and his musical comedy, THE ROAD TO QATAR, written also with Stephen Cole is about his incredible experience writing ASPIRE, premiered in Dallas to rave reviews, won Best New Musical Award '09-10 from the Dallas-Fort Worth Critics Forum, was on three 10 best lists for the year, subsequently produced Off-Broadway by the York Theatre in NYC, and was produced at the Edinburgh Fringe Festival. It is now licensed by Josef-Weinberger, and the original NY cast recording is on Jay Records (jayrecords.com, amazon.com). His original movie musical, THE WHEEL GOES ROUND, (www.vimeo.com/10303835) also written with Stephen Cole, premiered at the Ripfest Film Festival in New York, and was chosen for six film festivals, including The Big Apple Film Festival, and the Ft. Lauderdale International Film Festival. He has recently completed a new original musical with Stephen Cole, GOIN' HOLLYWOOD. He has composed dance music and arrangements for 35 Broadway shows, including 110 IN THE SHADE, LA CAGE AUX FOLLES, CABARET, MAN OF LA MANCHA, OKLAHOMA! (Hugh Jackman), KISS OF THE SPIDER WOMAN (Chita Rivera), THE MUSIC MAN, SHOWBOAT, & BIG (Susan Stroman), RAGTIME, VICTOR/VICTORIA (Julie Andrews), MINNELLI ON MINNELLI (Liza), DAMN YANKEES, ON THE 20th CENTURY and SHE LOVES ME. Orchestrations: THE ROAD TO QATAR, SHE LOVES ME, THE WORLD GOES 'ROUND (Drama Desk Nominee). For TV: ONCE UPON A MATTRESS, 2005 (Disney/ABC) starring Carol Burnett & Tracey Ullman, the award winning ANNIE (Disney/ABC) for which he received a special citation from the Academy of TV Arts & Sciences Primetime Emmy Awards, MRS. SANTA CLAUS (CBS) with Angela Lansbury, CINDERELLA (Disney/ABC) starring Whitney Houston, the 2003 OSCARS, & THE KENNEDY CENTER HONORS (CBS). He is a protégé of Leonard Bernstein from whom he received grants while studying at the famed Curtis Institute in Philadelphia. Bernstein began David’s Broadway career when he chose him to be a musical assistant on his last show, 1600 Pennsylvania Avenue. Reviews for THE ROAD TO QATAR! CELEBS Review THE ROAD TO QATAR! They say it's all in your Stars... the Stars all came to the Road to Qatar! The ROAD TO QATAR CD gets a RAVE! 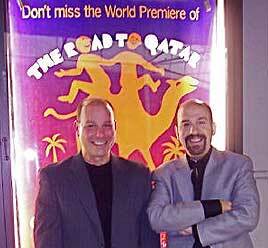 My faith in musical comedy just got a jump start with the arrival of a recent Off Broadway CD called "The Road to Qatar..."
The amazingly true and hilarious recounting of how ASPIRE and THE ROAD TO QATAR came to be by my brilliant collaborator, Stephen Cole for the Dramatists Guild magazine. Interview with an Italian Musical Magazine about THE ROAD TO QATAR.